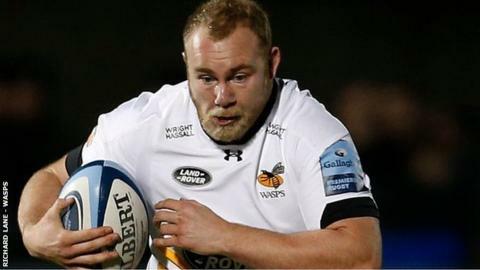 Wasps have made a seventh signing for the 2019-20 season by recruiting former Worcester tight-head prop Mike Daniels from Championship side Nottingham. Daniels, 26, who moved to Nottingham from Hartpury last summer, made his Wasps debut in December when called up as injury cover against Saracens. "Mike has a lot of potential," said Wasps director of rugby Dai Young. "We were impressed when he came here for a short spell to help out in December." Daniels said: "Moving to Wasps is a fantastic opportunity to surround myself with top-class players and to try and improve my game. I'll be giving my all for Nottingham in the meantime." Former Bath academy player Daniels played for Northcote Birkenhead in New Zealand and for Loughborough University in National League One before moving to Worcester in 2014. He made 34 first-team appearances with the Warriors before moving to Hartpury in 2017, then on to Nottingham. Wasps will have quite an overhaul this summer, when they will lose England star Elliot Daly to Saracens and Nathan Hughes to Bristol, as well as South Africa full-back Willie le Roux. In addition, Jake Cooper-Woolley has agreed to join Sale next season and fellow prop Matt Mullan has already left the club by mutual consent.